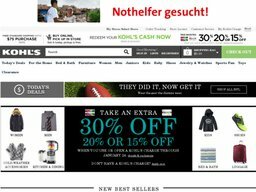 20% OFF + Extra $15 Kohl's Coupon - Verified 34 mins ago! Kohl's coupons and we list all of these here at Coupofy so you don't have to waste time searching elsewhere. Exclusions: Offer cannot be used in conjunction with any other percent-off discounts, including age-specific discounts. Offer not valid on the following categories and brands of merchandise: Gift Cards; Kohl’s Cares® cause merchandise or other charitable items; fragrance; prestige brands of cosmetics and skincare; select electrics; premium electronics and warranty products; consumables; premium sunglasses; sporting goods; sports team merchandise; select online-exclusives; adidas; American Girl; Columbia; Converse; Dyson; Elf on the Shelf toys, books and DVDs; Koolaburra by UGG; Levi's; Nike; Timberland and Under Armour Details: Get an Extra 25% Off your first purchase when you sign up for Kohl's charge. Subject to credit approval. Limit one offer per customer. Details: Get an Extra 25% Off your first purchase when you sign up for Kohl's charge. Subject to credit approval. Limit one offer per customer. Details: $15 Cash back on $75+ or $20 Cash back on $100+ for online purchases. Combine with other offers for an even better deal! Excludes gift cards. Purchases must meet the minimum amount before fees, taxes, shipping, and handling and after any other discounts are applied. Kohl's traces its roots to 1946 when Maxwell Kohl opened a supermarket in Wisconsin. It wouldn't be until 1962 that he branched out and opened the first Kohl's department store. Steady expansion continued over the next decade and in 1972 the British-American Tobacco Company took a majority stake in the company. Under new management they continued to expand with department stores, grocery stores, drug stores and other interests. Kohl's first went public in 1992 and the online store was launched in 1998. Today the company tens of millions in yearly revenue and employs roughly 140,000 people throughout its supply chain, retail front and corporate structure. Kevin Mansell currently serves as Chairman and CEO. Kohl's follow a typical department store model, selling home furnishings and furniture, other everyday home products, clothing and accessories, and kid's toys. There are many Kohl's coupon codes that can get you discounts throughout their range of products, simply check our list to see what's available at the time. The website is very easy to use, allowing customers to browse via categories (Home Furnishings, Furniture, Bed & Bath, Clothing, Shoes, Baby, Jewelry, Sports, and Toys), and you can also use the search bar if you have something specific in mind. Product listings can be easily sorted by type, brand, color, price range, popularity, release date, and other parameters, and there are handy user ratings and reviews to help you make a purchasing decision. There is also a dedicated page for Clearance items, and you can compound these savings by using a Kohl's coupon code. If you are shopping for someone else but aren't sure what to get, you can always purchase a gift card so the recipient can make their own purchasing choices. Kohl's accept all major credit cards for payment including Visa, Mastercard, American Express, and Discover. You can also use their own gift cards to cover all or part of your order charge. They also run a Credit service called Kohl's Charge which you can apply for and manage on the site. Prior to online payment you will see a promo box during checkout, which is where you can enter any Kohl's coupons. If valid you will see a confirmation message and your total order cost will drop according to the offer. Kohl's uses a wide variety of shipping couriers depending on the size of your order and the speed at which you require delivery. These include UPS, FedEx, OnTrac, LaserShip, and Deliv. Within the United States all orders over the value of $75 qualify for free Standard Shipping, which takes 3 to 6 days. Below this threshold you must pay a flat fee of $8.95 unless you have a Kohls free shipping promo code. For 2 Day shipping the cost is $19.95 for orders up to $74.99 and $9.95 for orders over $75. 1 Day shipping is $29.95 and $19.95 respectively. If you order before 1pm Same Day Delivery is also an option, which costs $14.95 and $9.95 respectively, though this is not available on all items. Shipping to Alaska, Hawaii, and/or APO/FPO military addresses may take longer than the above. If you want to ship items internationally you can do so through the third party MyUS service. 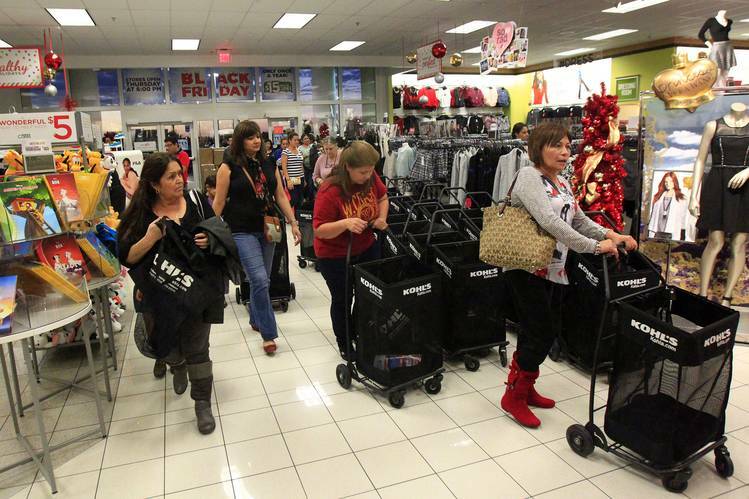 Kohl's do not have a set period for returns though you are advised to start the process as soon as possible. All unused items are accepted in their original packaging for a full refund or exchange, minus shipping costs. These will be covered if you received the order in error or items were defective upon receipt. If you have misplaced the packing slip/return form you can print another one online. This must be completed and included in the return package. The return address is on the form. You can also return items to your local Kohl's store. @joewaldo4 Hi there. Please send us a DM with more information so we can help. @elizabethhirene Hello Lizabeth, can you please send us a DM? We're happy to help . @LieghannGriff Thank you for sharing this feedback with us. We will be sure to pass it along to internal teams.